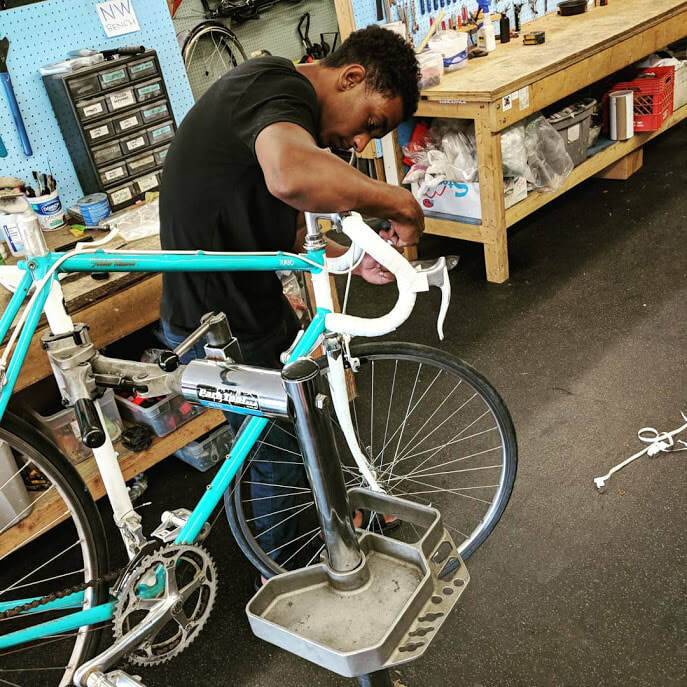 Want to work on your own bike, but need tools and space to do it? Rent-a-bench is $5/hr for the public and free for active volunteers. Bike Library Volunteers will only perform repairs on Checkout bikes not rent-a-bench participants. However, depending on volunteers staffed, we can answer questions. We highly recommend going to ParkTool.com and reading up on or watching a video on the repair you want to make. Or just come in. It might be a simple fix.